Check-in is a necessary task that families go through when they arrive at church...not exactly something they look forward to doing. And if they have to wait in line, it makes the experience even less pleasant. 69% of customers say long lines is the most frustrating part of shopping. And that translates right into your children's ministry. That being said, there is something you can do to enhance families' experience while they are checking in. What is it? Add visual content. Studies show that customers are drawn toward signage at the check-out line. And 84% of customers say watching digital displays helps the time pass more quickly while waiting in line. 40% of customers also say they are more likely to go to stores with digital displays near the checkout lines. Let's translate that into children's ministry. 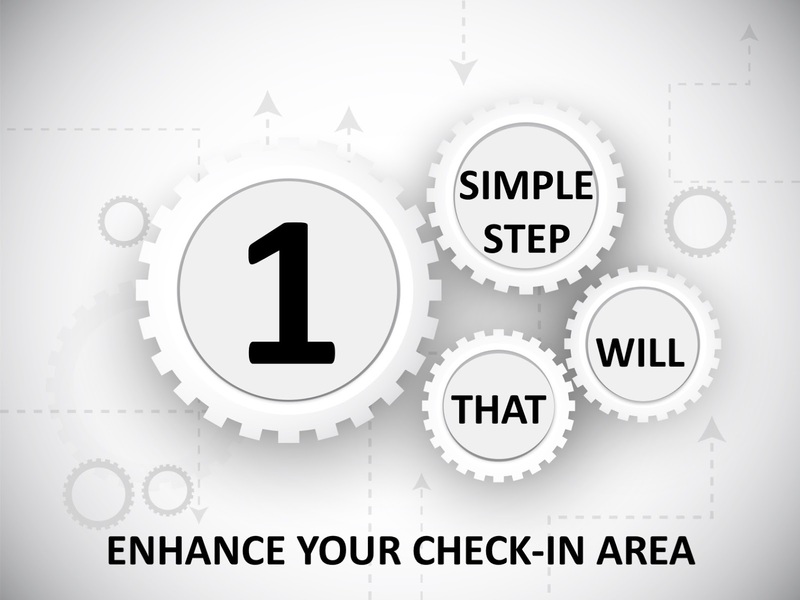 How can you add visual content to your check-in areas? Signs. Adding signage at your check-in area can help enhance families' experience as they are checking in. One way to do this is to add plexiglass sign holders at your check-in stations. You can then swap out the signs on a regular basis with upcoming events, announcements, welcome signs, etc. Really want to enhance your check-in area? Add a digital display. This can be done by adding a monitor with video content. You can then show videos that welcome families, promote upcoming events, highlight programs, etc. If you can enhance people's experience at check-in, they will start their day at your church with a positive feeling. And since the sermon starts way before people enter the auditorium or classroom, that's a good thing.